Our Fall 2018 Limited Time Offers Are The Answer To Your Dreams! Limited Time Offers Have Arrived! We are rolling out the newest items on our Fall 2018 Limited time offer (LTO) menu today and the items are #STACKED with flavor! The spring menu brought a new feel to our location & gave customers fresh new options to choose from on our expansive menu. Our Fall menu continues this precedent with an enhanced focus on seasoning, texture, and presentation. With 7 new items, we’ve listened to what our customers want to see from us and know they’ll be excited by the options. Our award-winning burger menu welcomes “The Big Dill-A Burger” to its LTO ranks. This is a quesadilla styled burger with a kick! The Cajun spice seasoning, pepper jack cheese, and Chipotle ranch is the perfect spicy addition to an already #STACKED burger list! 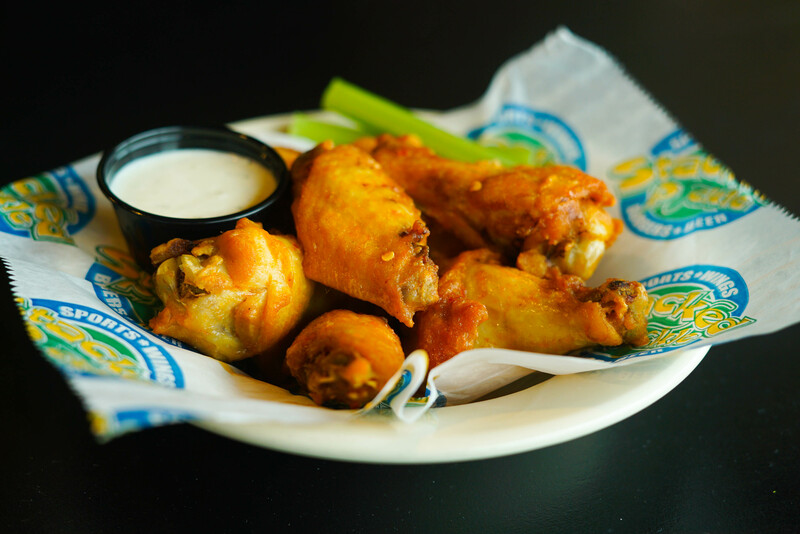 Stacked Pickle wings are a fan favorite, because of that we present our “Diablo Wing Sauce”. This is a tangy sauce made with Sweet Habanero, Hot sauce, and Cayenne pepper. Spicy food lovers should not miss this LTO item. These wings are sure to spice up your life. Wings & Pizza= The perfect combo. Flatbread pizzas are another place #PickleHeads look for more variety. To respond, we introduced 2 new options for the fall 2018 LTO. Topped with Cajun Steak, Alfredo Sauce and Garlic butter, the Garlic Steak is sure to endear Cajun & Garlic lovers galore. Our Margarita Pizza is an answer to the call from numerous patrons to add the choice to our menu. Folks looking for a healthier flatbread will love this LTO option. As patrons look for more healthy menu items to choose from, we continue to expand our offerings. Our “Mango Chutney Chicken Salad” appeals to those looking for a lighter take on their meal. With no sacrifice to flavor, our salad feature strawberries, dried cranberries, & blue cheese crumbles on a bed of spinach. There is an option throw it on a kaiser bun to make it a sandwich too! This is an LTO option you simply must try. Salad or Sandwich, take your pick! We listen to #PickleHeads. You ask beg for a loaded mac. We bring you just that. Our Buffalo Mac is the answer to your deepest desires! Creamy Mac & Cheese & chicken fingers topped with our Medium Wing Sauce, Ranch, and Blue Cheese crumbles are a dream come true for cheese loving foodies everywhere! LTO stands for “Limited Time Offer”. Make sure you stop by to try our latest options at your local Stacked Pickle location. What are you waiting for? Time’s wasting ???????????? Now Franchising in All Areas of The US. Do you have what it takes to #BuildThePickle?